» FFVI: I’ll Do It! 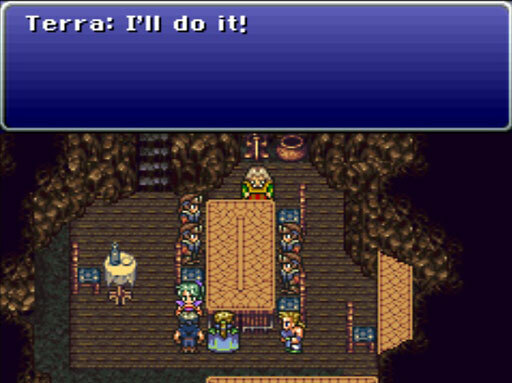 Back to the “Terra Agrees” storyline. I forgot to screencap this; it comes towards the end of the strategy meeting.